“Projects like this bring good jobs to the local economy, while diversifying our energy sources,” state Rep. Carlos Uresti, D-San Antonio, said in a statement. 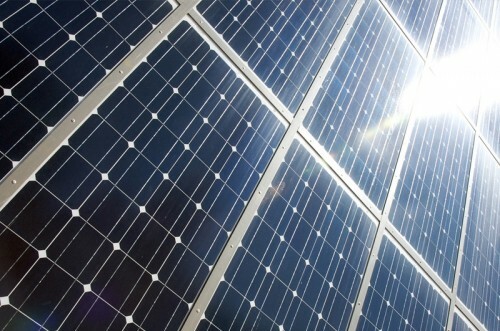 Barilla is not the largest solar project in Texas. CPS Energy’s Alamo project in San Antonio (41 megawatts, with plans for additional plants that would total 400 megawatts) and Austin Energy’s 30-megawatt Webberville facility have it beat. And last May, Austin Energysigned a deal with a California company to build a 150-megawatt solar farm somewhere in West Texas. Texas, because of its size and intense radiation, leads the nation in solar energy potential. Much of that resource is in the state’s western half, according to the State Energy Conservation Office. The industry has long struggled to get a foothold in the state, as policymakers have provided fewer incentives than other states, and solar energy currently makes up a tiny fraction of Texas’ energy portfolio. – Jim Malewitz, Texas Tribune. This article originally appeared here. This entry was posted in KRTS News and tagged Barilla Solar Project, Energy, Environment, First Solar, Oil and Gas Industry, Pecos County, Renewable Energy, Solar Power, Texas Solar Industry, Texas Tribune, West Texas Solar. Bookmark the permalink.